Are you, like many others right now, in search of that perfect holiday gift? Well here at BiblioWorks we have an idea for you! Drum roll please… the gift of literacy! This holiday season we are asking for your help as we prepare to take on our first project of 2017: renovations and improvements to our library in Morado K’asa! Situated in the region of Tarabuco, our library in Morado K’asa has increased literacy rates by 22% since it was first opened it in 2005. While we are proud of its success, we also see areas where extra help could lead to further achievements! 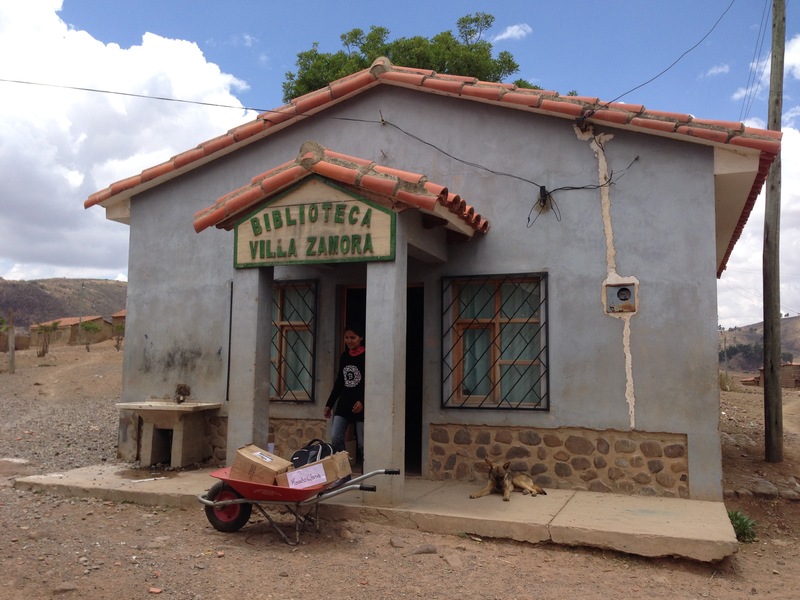 La Biblioteca Villa Zamora currently has a limited amount of basic resources such as children’s books and educational materials that make promoting literacy very challenging. As the majority of children and families rely on the library in Morado K’asa as their sole provider for literacy tools and resources, it is our goal to ensure that they have access to the most updated and efficient library possible. This project will help strengthen this library by increasing the number of books, educational games and posters, adding more tables and chairs for library patrons, and making repairs to the building. The total project cost is $3,500 and we are certain that with your help we can cover it! So instead of spending endless hours contemplating how you can give the perfect holiday gift this year, help us enable the library users in Morado K’asa to become successful learners and readers by making improvements on our library!